The odometer on my 1999 Chevrolet Prizm is nearing 100,000 miles, so it may be time to get a new and more fuel-efficient model. If money were no object, I'd buy one of those nifty Chevy Volts. 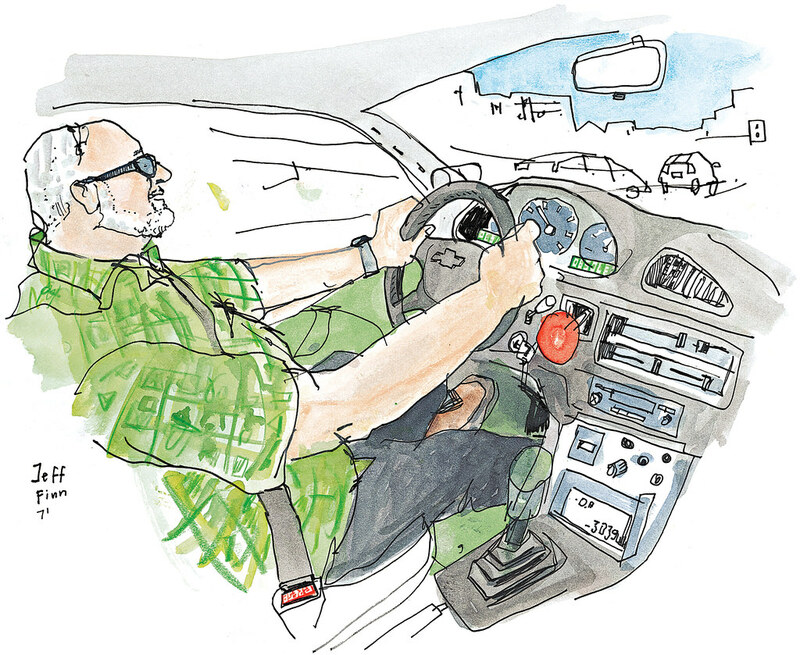 Or, if I were more car savvy, I could follow Jeff Finn's example. 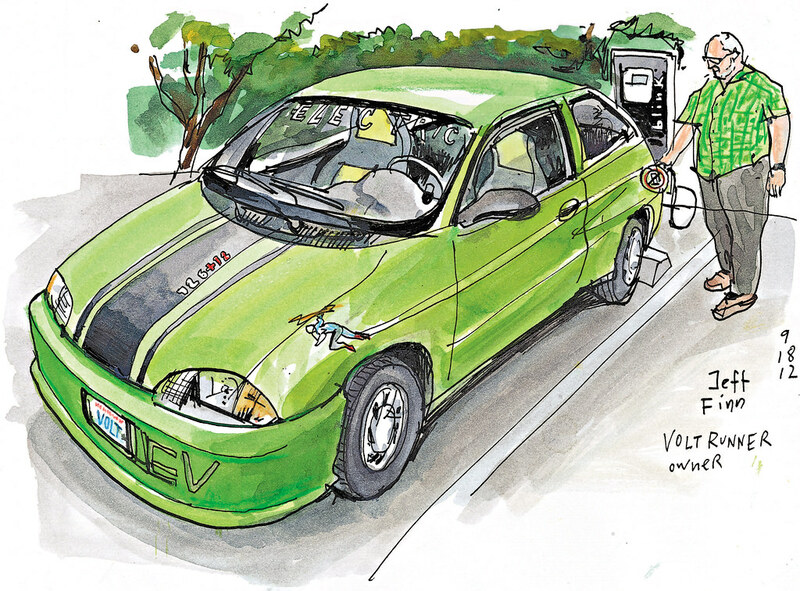 The 71-year-old Bellevue resident saved a 2000 Chevy Metro from the junk yard, stripped out all the gas motors' pieces and turned it into a one-of-a-kind zero-emissions vehicle he named the "Volt Runner." "I'm not spending money on gas; I don't have any repair bills," Finn told me at a plug-in station in South Lake Union. And the Volt Runner is fun to drive, he said, because of "the elegant simplicity of it all." The fuel and temperature indicators inside Finn's car have become decoration. He has labeled the gauges with bright green labels that say "obsolete."